Located at 101 Nguyen Thai Hoc Street, the 200-year old Tan Ky Ancient House is considered the most beautiful and oldest of Hoi An. The furniture and antiques is carefully preserved as well as the structure and architecture is still the same as first built. The house carries tubular architectural features of the ancient town, which is not wide but long. There are no windows in the house but a heaven well in the middle to collect sunlight from outside. Therefore, unlike the tube houses on new streets in new towns in Vietnam nowadays, the house is not suffocated by the ventilation in the front, rear side and skylights. 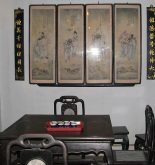 Furniture is divided into many, and each one has its own function. The main materials for construction are wood and brick. It is material that helps the house challenge the long time. Paving tile is made from Bat Trang, which makes the house warm in winter and cool in summer. 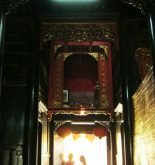 Tan Ky house was built under the skillful hands of Kim Bong Carpentry craftsman. Every motif, decorative patterns imply deep meanings and messages of Oriental philosophy. 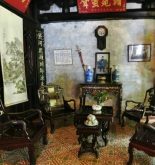 Inside the old house are exhibiting antiques, souvenirs and pictures of time stone in Hoi An. Especially, visitors coming here can admire Confucius cup. It is a decorative cup with Chinese style. According to Confucius, the cup present for the admonition about ethics that people need to curb the behavior and keep the mind not too outrageous. 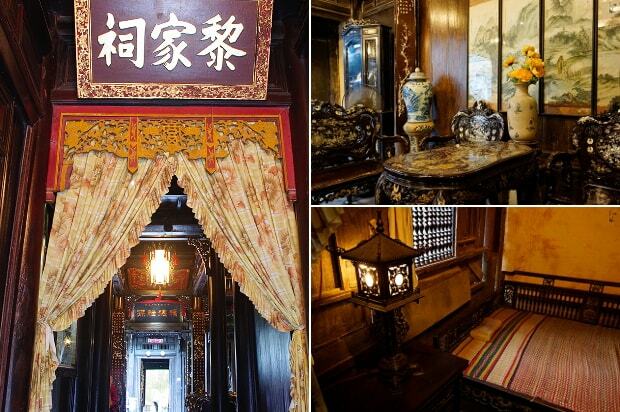 Tan Ky Ancient House is honored to be the first house becoming National Heritage and it is the only house welcoming both domestic and foreign delegation to visit. Ticket: including in the Old Town’s ticket.